Graduate from Government recognized University or Institution.Preference will be given to candidates having MBA or equivalent degree from reputed colleges. Management with leading Public / Private / Foreign Banks / Broking / Security firms. minimum Total Relationship Value (TRV) of `.20.00 lakh]. or equivalent degree from reputed Colleges. Graduate fromGovernment recognized University or Institution.Preference will be given to candidates having MBA or equivalent degree from reputed Colleges. Years of experience in Wealth Management. Should have managed large Management Team. Leads at national level at least for 5 years. Branch Operations of Wealth Management set up. Exposure on CRM platform for Wealth Management is preferred. Experience in handling trade and data for transactions across asset classes like equity, bonds, mutual funds and alternates. Should have managed a large operations team in Wealth Management business. Back Office and Branch Operations of Wealth Management set up. Minimum 5 years of experience in product management / channel management / relationship management. Understanding of process and systems including Investments, core banking, remittances & forex, etc. Territory Head– Graduate from Government recognized University or Institution. Preference will be given to candidates having MBA or equivalent degree from reputed Colleges. Group Head– Graduate from Government recognized University or Institution. Preference will be given to candidates having MBA or equivalent degree from reputed Colleges. Operations Head Wealth– Graduate from Government recognized University or Institution. Preference will be given to candidates having MBA or equivalent degree from reputed Colleges. Operations Manager Wealth– Graduate from Government recognized University or Institution. Preference will be given to candidates having MBA or equivalent degree from reputed Colleges. Services and Control Manager– Graduate from Government recognized University or Institution. Product Manager Investment– Graduate from Government recognized University or Institution. Compliance Manager Wealth– Graduate from Government recognized University or Institution. NRI Wealth Products Manager– Graduate from Government recognized University or Institution. i. Application fees and Intimation Charges (Non-refundable) ` 600/-for General and OBC candidates; ` 100/- (Intimation charges only) for SC/ ST/PWD candidates. Bank is not responsible if any of the candidates makes more than one payments. Bank reserves the right to change (cancel/ modify/ add) any of the criteria, method of selection and provisional allotment etc. The Bank reserves its right to call for the GD/ PI, candidates in a ratio, at its sole discretion. Adequate candidates as decided by the Bank will be shortlisted based on their qualification, experience and overall suitability for Interview. The qualifying marks in test/Interview will be as decided by the Bank. A candidate should qualify in all the processes of selection, i.e. test and/or GD and/or PI (as the case may be) and sufficiently high in the merit to be shortlisted for subsequent allotment process. Candidates are required to have a valid personal email ID and Contact No. It should be kept active till completion of this recruitment project. Bank may send call letters for GD, interview etc. through the registered email ID. In case, a candidate does not have a valid personal email ID, he/she should create his/ her new email ID before applying Online. Under no circumstances, he/she should share/ mention email ID to/ or of any other person. i. Candidates will be required to register themselves online through Bank’s website www.bankofbaroda.co.in/careers.htm and pay the application fee using Debit Card / Credit Card / Internet Banking etc. ii. Candidates should first scan their latest photograph and signature. Online application will not be registered unless candidate uploads his / her photo and signature as specified. iii. Candidates need to upload their Bio-data while filling online application. iv. Candidates should visit Bank’s website www.bankofbaroda.co.in/Careers.htm and open the appropriate Online Application Format,available through the link mentioned in the advertisement. v. Candidates are advised to carefully fill in the online application themselves as no change in any of the data filled in the online application will be possible/ entertained. Prior to submission of the online application candidates are advised to use the “VERIFY” facility to verify the details in the online application form and modify the same if required. No change is permitted after clicking on SUBMIT button. Visually Impaired candidates will be responsible for carefully verifying/ getting the details filled in, in the online application form properly verified and ensuring that the same are correct prior to submission as no change is possible after submission. vi. The name of the candidate and his/ her father/ husband etc. should be spelt correctly in the application as it appears in the certificates/ mark sheets. Any change/ alteration found may disqualify the candidature. vii. An online application which is incomplete in any respect such as without photograph and signature uploaded in the online application form/ unsuccessful fee payment will not be considered as valid. viii. Candidates are advised in their own interest to apply online much before the closing date and not to wait till the last date to avoid the possibility of disconnection / inability / failure to log on to the website on account of heavy load on internet or website jam. ix. 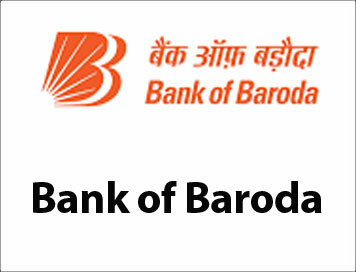 Bank of Baroda does not assume any responsibility for the candidates not being able to submit their applications within the last date on account of aforesaid reasons or for any other reason beyond the control of Bank of Baroda.